​​Paddle Boards, Kayaks, Bicycles for all ages, Surrey Bikes, Tandem Bikes, Trikes, and much more! ​​We are just DOWN THE ROAD FROM ORDINARY! 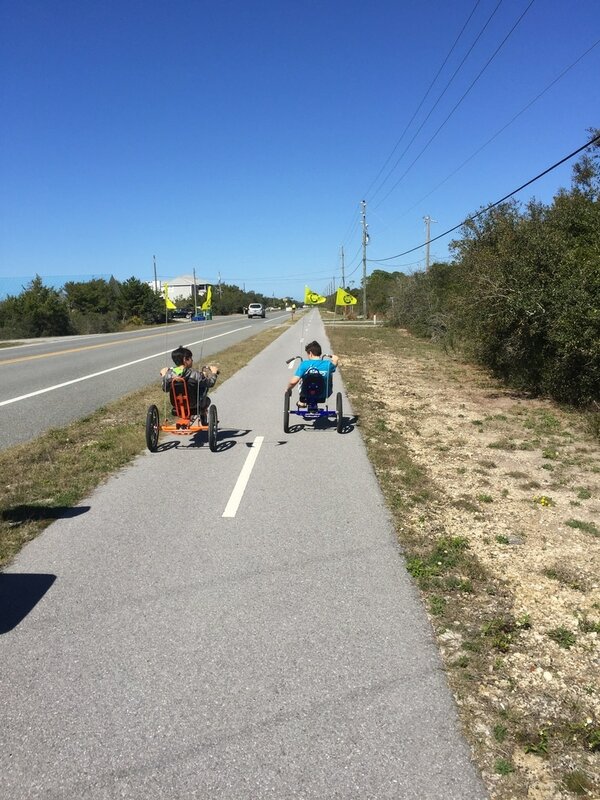 Enjoy the miles of bike path that the Cape has to offer! We want to share a piece of paradise with you. For years residents and visitors had to look far in order to rent equipment for beach adventures. We decided it was time to have a local Cape San Blas company that provided fun sports equipment right here! ​STOP BY TODAY AND AUSSIE! We have something for everyone. Fishing, Beaching, Biking or just having fun. Come see us today!